Slazenger cricket bats as used by English Test players Jonathon Bairstow and Gary Ballance. The Slazenger range includes a more traditional shape and the new stickers. Discount Cricket Outlet are proud to stock the Slazenger cricket bats which have certainly stood the test of time within the cricket bats market. 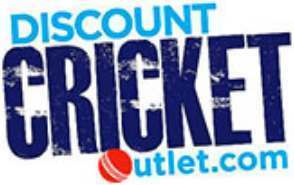 Purchase Slazenger at Discount Cricket Outlet at some of the best prices on the worldwide web.